NOTE: I don't receive any $ from Amazon. Links are for your convenience only. 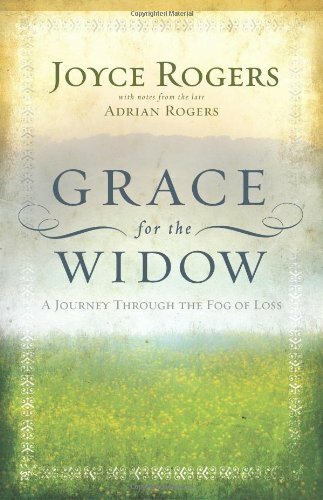 The author, Joyce Rogers, (widow of Adrian Rogers), passed through the “fog of loss” and gifts us with simple truths, and practical steps. Joyce understands the unsettled feelings, such as: “If I only had someone to tell me what to do next!" The book is only 110 pages and it’s divided into two parts, the Profound and the Practical. Nothing is more profound than God’s love and care for widows. Matthew 6:33-34 But seek first His kingdom and His righteousness, and all these things will be added to you. So do not worry about tomorrow; for tomorrow will care for itself. Each day has enough trouble of its own. From the book: “His name means ‘the Lord of hosts.’ He is the leader of all the hosts of heaven. He fights my battles for me.” p.8In one chapter she explains some of the names of God, and how the character trait of God applies to widows. i.e. our Refuge, Strong Redeemer, Provider, etc. In the Appendix there is a larger list. Sprinkled throughout the book are encouraging thoughts about Heaven, scriptures categorized for specific needs, and comforting poetry. For a longer review on my blog, click HERE. Grief is very real, multi-faceted, and different for everyone. Though Grief is normal and to be expected it has the potential to derail the most peaceful and joyful Christian among us, me included. After the huge loss of a spouse, many things can distract the widow/widower from having a wonderful life that glorifies God. “When two have been one, separating them brings pain.” C.C. A widow can drift into overwhelming loneliness. In addition, her understandable sorrow can easily be crippling. Even worse, self-pity and confusion make a good breeding ground for sinful attitudes and actions. Thankfully, there is hope available to the hurting heart. 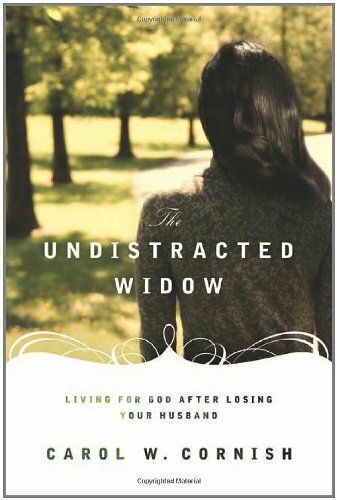 Carol Cornish’s book, The Undistracted Widow, is a salve for the hurts, and a road map for the heart. From one widow to another, she gently but firmly reminded me to keep my eyes on the Lord, not on my circumstances. Her encouragement to let God’s words comfort, and learn from widows in scripture and others who understand, like Elisabeth Elliott, was a tremendous help for me. She lays out a plan for facing common fears, such as the fear of the future, fear of isolation, fear of changing relationships, fear of living alone, fear of financial problems, and others. Other topics include, how to face the enemy’s attacks, the importance of learning contentment, and how to best remember the past. My favorite practical part of the book were the chapters on reaching forward to what lies ahead, dealing with distractions and decision making. I have needed focus and determination at times as I enjoy finding my new life. Many things remain the same but have been allowed to deepen, as I now have more (or different) time to "dig in." For instance, spending more time with my family, and growing in those relationships or helping others who are going through similar circumstances through our Alzheimer’s/Dementia ministry at church. Sorrow, potentially makes me vulnerable to distractions from my main purpose in life, giving glory to God. Therefore, I'm always on the lookout for helps in this area. If you or someone you know is a struggling in their grief over loss of their spouse, I recommend this book. It’s less than 200 pages, with short chapters and written with compassion by a widow who understands. “I want to tell you enough of my story to assure you of my empathy with your grief. But then I want to step aside and point you to Christ, for he is able to come alongside you by the presence of his Spirit. He cares for you. He wants you to know him better. Times of deep sorrow can produce in us a profound sense of loneliness, but if we set our eyes of faith on Christ and seek to know him in the midst of pain, he will give us a clearer vision of who he is and who we are in him. The Lord Jesus Christ can give us confidence in him so strong that we can face anything because he is with us. 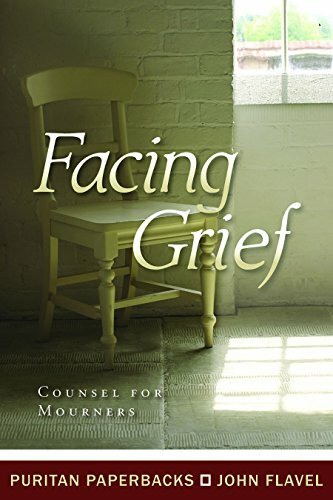 The title, Facing Grief: Counsel for Mourners perfectly describes what this little book is about. The author, John Flavel, a minister in the south of England, had already buried two wives and his parents when he wrote these pages. Facing Grief is not an autobiography, but his own tragedies, give legitimacy to the hard but helpful truths he put down on paper. There are minimal stories, or personal examples, but if you want to know how to mourn in a way that glorifies God, Flavel brings Scripture to bear on grief. The language is in the “old English” style, but this did not deter me. I soaked up the pages. For longer review, click HERE. 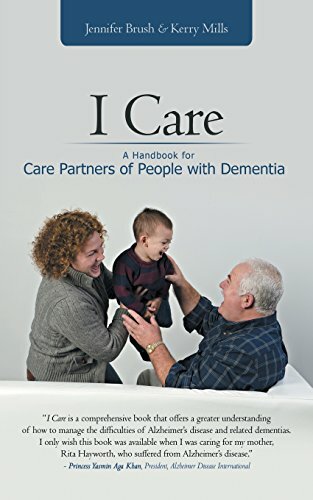 If you are caring for a loved one with dementia, and are limited on time, this short book will be a very helpful resource for you. It covers all the major areas you need to consider when helping. It is an easy read, and gets right to the point. Appendix: A super helpful section with safety checklists, interview questions for potential care givers, behavioral log chart, and much more. The authors approach care giving as "partnering" so that both the care giver and the loved one are fulfilled. Giving and receiving, learning and helping together. They use testimonials throughout to enhance the principles, from "care partners" they know. One of their key principles is to accept the way things are so that you can have a meaningful experience together. I heartily agree. I recently had the opportunity to meet with Ms. Mills and found her to be enthusiastic and compassionate and extremely knowledgeable about dementia. Everything she said resonated with me, as I was still caring for Gary at the time. 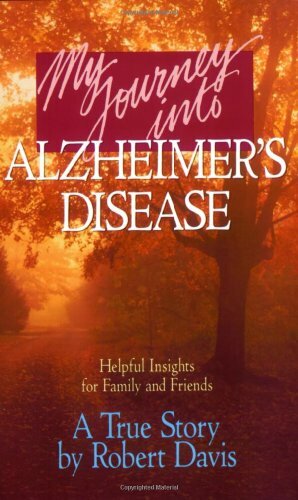 "Although Alzheimer's disease and other forms of dementia present daily challenges, we have confidence that this book will help you focus on the joys of what still is, rather than what is not. Despite the despair that many families speak of, we believe there is more to the story and therefore want to offer you hope. There will be days (hopefully many) when you will laugh; there will be days when you will be surprised by your own strength; there will be days when you learn new things about the person you have known for most of your life; there will be days when you realize your great love for this person; and there will be days when you will be acutely aware of his or her great love for you." Our memories define us. The idea of forgetting what we have done and who we are is terrifying. For a Christian, the possibility of forgetting God, and our relationship with Him is unthinkable. Dr. Benjamin Mast has presented a comforting answer to these fears in his book, Second Forgetting. As a licensed clinical psychologist and committed Christian, he gives hope for those who are forgetting and their care givers. Dr. Mast explains The Second Forgetting as follows: “We are all imperfect and broken. We forget the Lord, even in the best of health. This is what I call the “the second forgetting.” p 18. Everyone forgets God. Even believers do from time to time. That is why we need reminders. 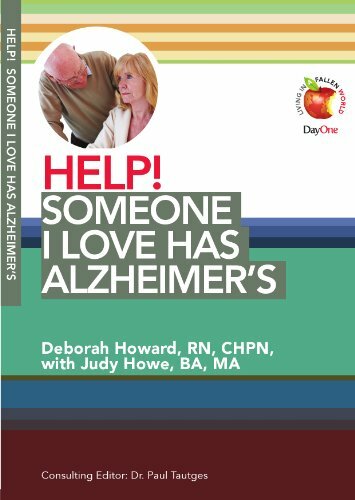 Two chapters are devoted to understanding Alzheimer's and how the brain remembers. Knowing the various ways to access memories stored away in a person’s brain is really useful in helping those we care for. The most helpful part for me personally was the section on the Gospel, who a person is in Christ, and how God interacts with believers, whether their minds are healthy or not. By working his way through Psalm 139 and Romans 8, Dr. Mast draws out how God intimately cares for His own and never forgets them. Practical suggestions are given for setting up "memorials" to aid the forgetful in remembering, as well as building habits, while healthy, that would aid anyone in "remembering," should they end up with dementia later in life. A super helpful book! To read my entire review, click HERE. In a personal account of her own family's story, Ms. Howard explains the physiological changes to expect in your loved one, including the warning signs, how it's diagnosed, the stages, and the treatments. These subjects are handled briefly but with enough detail to gain a good basic understanding. The next section is devoted to practical suggestions for caregivers. Humility, patience and humor are the necessary qualities for good care giving. Legal issues, handling medications, Dr. visits, nutrition, activities of daily living, exercise and the environment are discussed with some very helpful ideas. The final section (my favorite) is about trusting God in the midst of adversity. "How can we reconcile the goodness of God with our pain and suffering?" Basic truths about God's character and the purpose of adversity are the reason we can be thankful in the midst. Wear Comfortable Shoes is a book for all of us caregivers. It doesn't matter who you're taking care of, or what their condition is. Age, condition, or relationship have no bearing on the advice given in this wonderful little book. Peter Rosenberger has cared for his wife, Gracie, who has no legs. I care for Gary who has advanced stage dementia. Parents care for developmentally disabled kids, and most of us will care for an aging parent. One thing's for sure; You either WERE a caregiver, you ARE a caregiver, you need a caregiver NOW, or you WILL need a caregiver in the FUTURE. I FLEW through these 115 pages offered from this loving husband who has faced many of the same things I have. Mr. Rosenberger has been doing this for 19 years longer than I have, and I learned much from him. 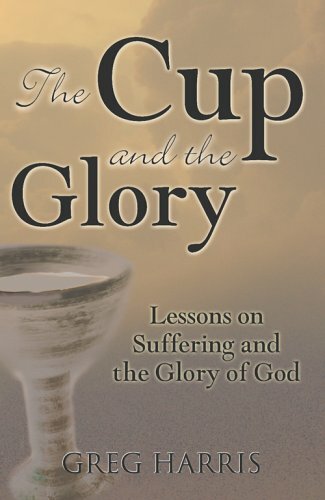 He has written personally, sharing his own experience (which includes Gracie's 70+ operations), and with tons of practical advice (including how to ASK for help and where the Church fits in). He gets right to the point for the reader whose time is limited. These following chapters cover the impact areas of a caregiver's life. 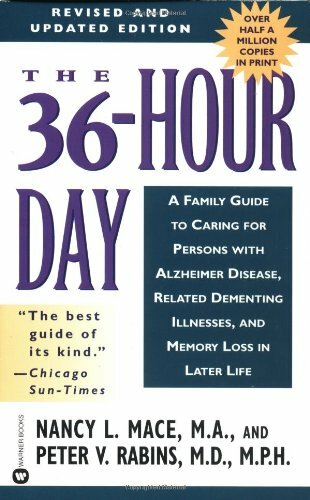 Health, Emotions, Lifestyle, Profession, Money, Endurance(Forming the acrostic "HELP ME") Throughout the book, Mr. Rosenberger uses a simple 1-2-30 reminder system for us busy caregivers and those who care about us! In the chapter on Health, for example just remember...1 Flu Shot -2 Well Visits to Dr. and 30 Minutes of Daily Exercise/Activity The most important help of all is in the final chapter, When Your Heart is Hurting and Weary. You will be blessed as you read about 1 Savior, 2 Hymns, and 30 Words. 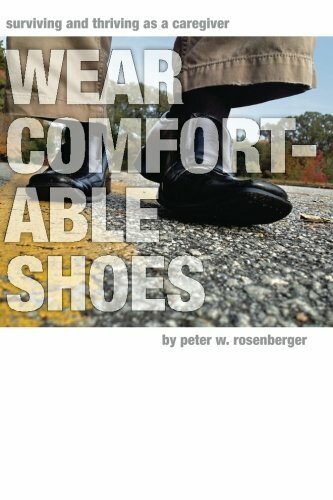 Wear Comfortable Shoes is my new "you have to read this" book for all my caregiving friends and those who love us. In our family, for instance, 6 years into Gary's care, there is now a great deal of concern for MY Health, Emotions, Lifestyle, Profession, Money and Endurance. Pacing myself, and remembering that mythis is a marathon and not a sprint is the key to finishing THIS kind of race. My Journey Into Alzheimer's Disease by Robert Davis - Just like my Gary, Robert Davis was diagnosed with 'early-onset' Alzheimer's in his 50's. He was enjoying a wonderful life as a pastor in Miami, Florida for 14 years, when he began the confusion began. Married 30 years with 2 daughters, and busy with his ministry, his life was abruptly changed as he had to step away from his beloved preaching, counseling and shepherding. His writing takes place during the early stages of the disease, and possibly into the start of the middle stage. Some of the chapters were written by Robert, some by his wife, Betty, and some were edited by her. (Especially when he had lost the ability to write, and, though able to record his story, he repeated himself frequently and often had a hard time gathering his thoughts.) At least half of the book is devoted to his personal history and spiritual journey. He shares from his heart the deep struggles with the confusion and blank mind which would come and go, and how his relationship with God was able to continue. Knowing what his walk with God had been like up to this point is important in order to understand how God takes a person where he is at, and continues working in their heart. In the later chapters he tells what it's like for the person who's mind is confused and how to help them function at their highest ability. He even relates what he would have done differently in comforting those with dementia in his congregation. 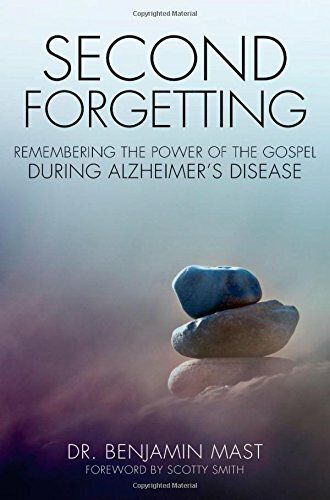 Spiritual perspective, in the life of a Christian Alz. patient. Click this link: My Second Favorite Book for my more detailed review and how it impacted me. 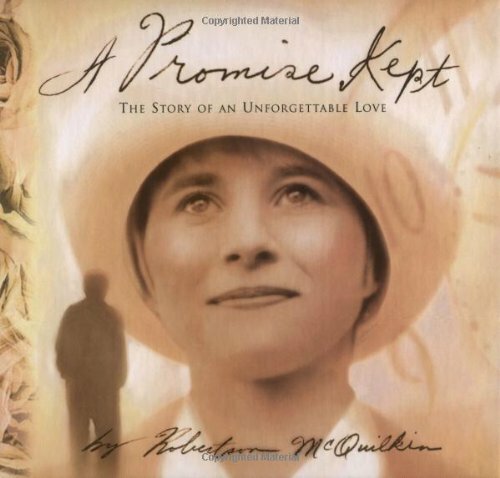 A Promise Kept by Robertson McQuilkin - This book set the tone early for me. The true account of a man who left his career, to care for his wife. His love for her is a beautiful picture of Christ's love for his church. Roberston saw it as a privilege to love his wife in sickness as well as in health. 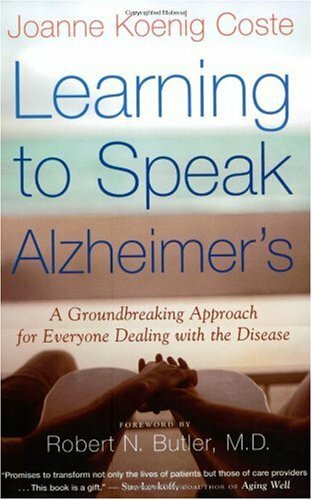 Learning to Speak Alzheimer's by Koenig Coste - Of all the books and resources I have read this is my favorite for practical help. The author's husband also had early onset A.D. just like Gary. Communicating in a way that the loved one understands is invaluable and in many cases prevents problems. For example: emotions last for the A.D. patient even though the event which caused them is long past. The memory seems to be fine when it comes to the emotions. The healthy brain can reason its way out of a bad mood, or sadness or anger, etc., but short term memory loss makes it hard to remember what caused the emotion. Keeping things pleasant as much as possible really helps them enjoy life, even though they can't remember things. Though there are a couple of things I disagree with, here is a great deal to glean from this wonderful resource. 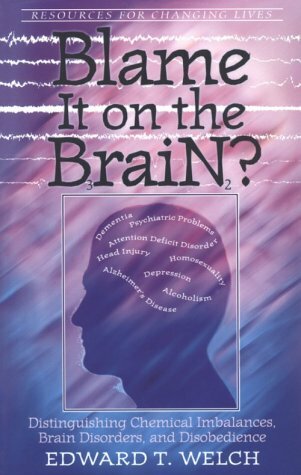 Blame it on the Brain (Distinguishing Chemical Imbalances, Brain Disorders, and Disobedience (Resources for Changing Lives) by Dr. Ed Welch - This was useful several years ago especially when we didn't know the cause of Gary's dementia, from the Christian perspective and covers many different brain conditions and does not discount the fact that even people with brain problems are sinners and need accountability. 36 Hour Day by Mace and Rabins - This is the basic book, which covers everything from legal issues to physiological changes. Gary's neurologist gave this to us when he was diagnosed a few years ago. Very helpful, if a little intimidating. I try not to "read ahead" to far into the details of what's coming. Only enough to be somewhat prepared. 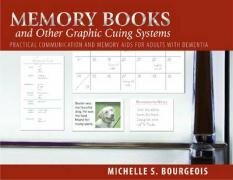 Memory Books and other Graphic Cuing Systems by Bourgeois - A new find. I have put together a couple of "memory books" described by the author, and they have been wonderful for Gary. They are very easy to do, and provide lots of interesting time for him. They are most useful for the health care workers at the programs he attends, or anyone who doesn't know him well, or who DOES know him because they provide conversation points that he can relate to. i.e. photos of his childhood home, and our current home with the simple phrases describing them. "This is my home." or "These are my parents." or"I love orchids." Underneath a photo of him with some of his orchids.